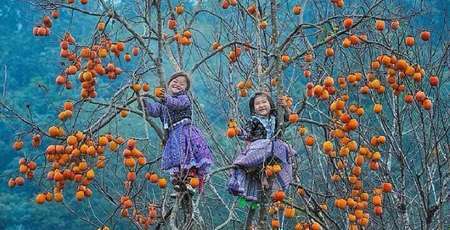 Not just well-known for its mighty Fansipan rooftop or great yellow-silk-strip terraced paddy fields, Sapa still cherishes its own mysteries, secrets, and surprises which are waiting to be uncovered. 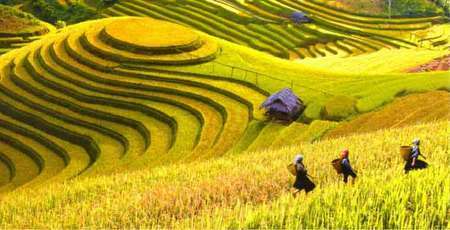 Let’s follow Authentik Vietnam Travel to Muong Hoa valley to unearth the beauty of SaPa ancient stone field. Sapa ancient stone field stretches along Muong Hoa valley which is about 8 kilometers away from Sapa town centre. 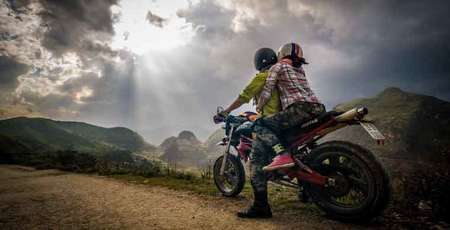 To visit the stone field, tourists should rent for a motorbike in Sapa town which is around 120,000 VND ($6) per day. In case tourists' accommodation is around Lao Chai - Ta Van village, they can choose to do half- day trekking to this area. It was in 1952 that the stone field was found by a French archaeologist who believed it is the area keeping remains of prehistoric man. In its area of 8 square kilometers lies more than 200 stone blocks which are variant in size. Till now, for nearly 100 years of being discovered, the place has attracted more and more visitors, both domestic and international to come. And this field has been a valuable property of North West as well as the whole Vietnamese people. Nearly 200 stones scattered along the three communes Hau Thao, Su Pan and Ta Van. Each stone has different sizes and shapes. There are characters and pictures that are not easy to explain on each stone. The difficulty of explanation and much controversy always arouses curiosity and desire to discover in tourist. That is the attraction of this place. 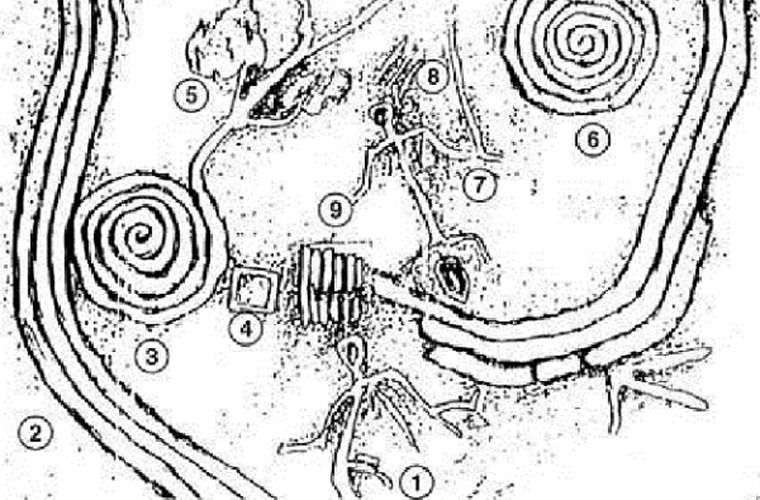 The ancient stone field has existed for a very long time in the life of the indigenous people. But it wasn't until that French archaeologist "noticed" it in 1925 that people began to see it in the most scientific way. Many local and world scientists have gathered here to explain the mysterious messages written on the rocks. But so far, there is still no satisfying answers to those questions. 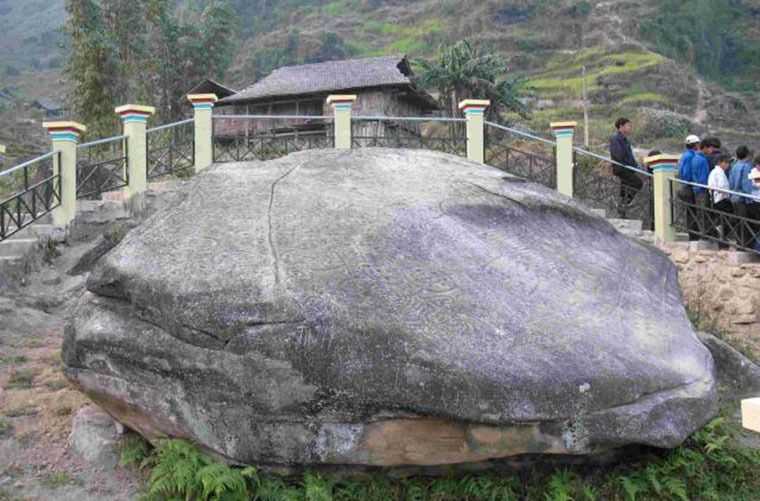 Today, when going to the ancient stone field, the border of the two communes of Hau Thao and Ta Van, people still see two stones lying near the road. They call them the Mother and the Father stone, there is also a smaller stone nearby called the Baby Stone. The old people in the area always insist that Father Stone and Mother Stone are constantly looking to each other due to the closer distance between them days after days. 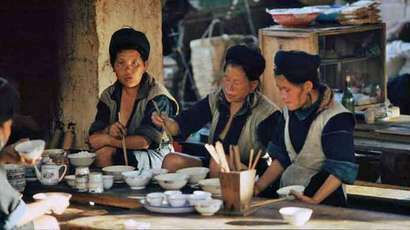 Many local people still hold the notion that it is a symbol of a warm, happy and full family. It also means that people here always unite with one another, sticking together and making life and development for this land. The locals here call the ancient stone field a "book" that fully records the history of their original heritage, including the old battles of the two tribes. Remarkably, on the Mother and the Father Stone , there are also intricately carved images of terraced fields, stilt houses, and humanoid figures, which have different shapes like the sun but are distorted and shaped like trigrams, yin and yang, there are also drawings like stars and wheels which are close and attached to the life of the ethnic people here. On many rock blocks’ faces still remains special carved images of terraced paddy fields, people, stilt house or handwriting. 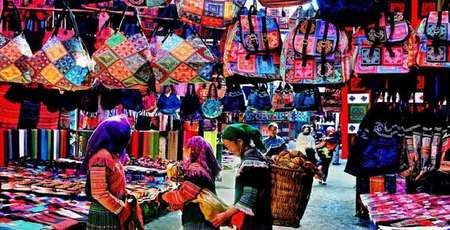 There are also weird and abstract patterns, which is difficult to understand or explain, have drawn a lot of attention of tourists and explorers. 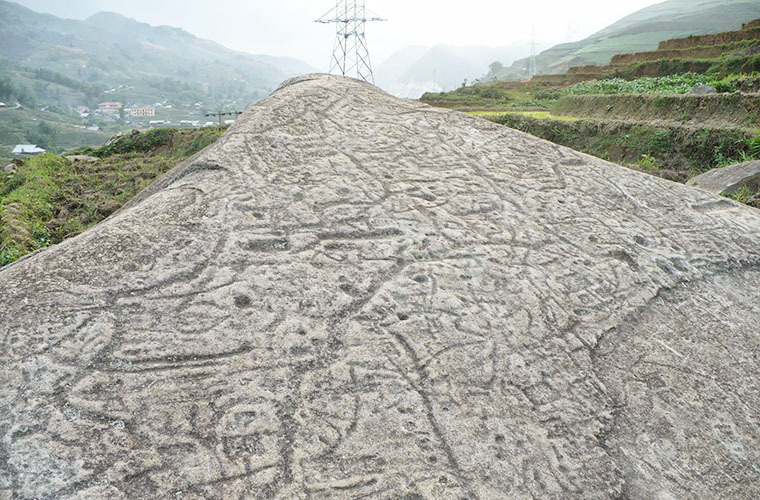 Interestingly, those engraved images on rock blocks, according to some historical and ethnological documents, are the representation of ancient people’s life stories. A long strip of carved stone blocks after others will take you into a world of mysteries and hidden stories. More surprisingly, in many slabs bordering the communes of Hau Thao and Lao Chai, there are overlapping characters or lines which means they only appear once and do not repeat themselve again. That gives the people here a strong belief in a proud history of the original ancestors left on every stone that is real. They also prove that many of the customs today or rituals of sacrifices embodied the e behind the stones are still remained. All of the theory is still open, but it is certain that people first lived here quite early. 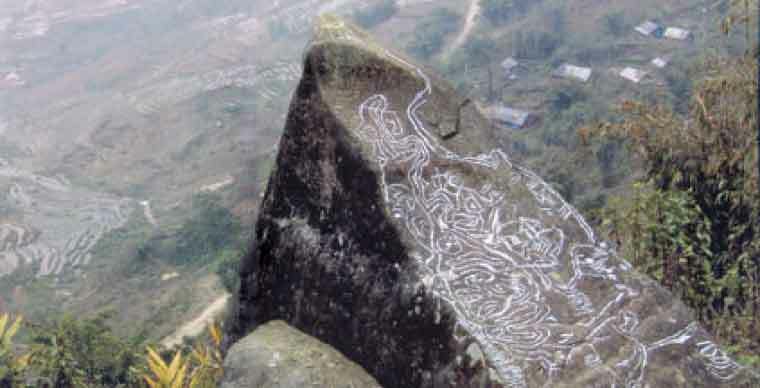 Sapa ancient stone field is thought to be an unusual work of art by its enigmatic drawings, which not only brings visitors interesting excitement but also unforgettable experiences of prehistoric life and culture. And that’s not the only thing you can see in Muong Hoa valley but after exploring the hidden stone field, other amazing things are waiting for you. It is great paddy fields that lift you up with rice smell and wonderful views. Just set your mind free and enjoy the harmony with nature, you will find peace and calm in the middle of a mountainous commune. 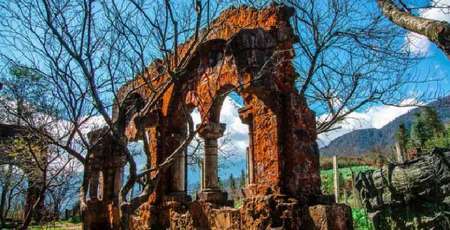 For a further look, you could see the magnificent views of local mountains covered by blurry clouds around its top, great green forests or tiny stilt houses lying around mountain feet. It is, for sure, worth your visit! 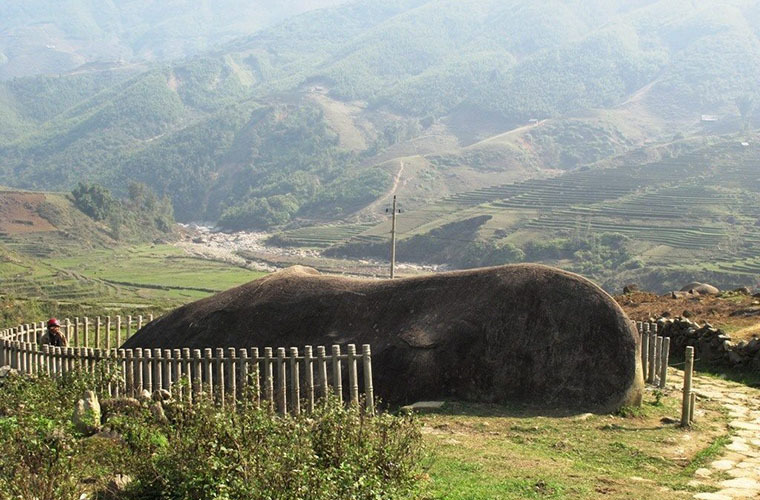 For decades,Sapa ancient stone field has kept its own secret that no one can fully explain. They, the old rocks, are still out there looking for someone to open its coded stories and discover its beauty. Let’s pack on your back and go to Muong Hoa valley to see, explore what’s out there!